For this I just used the 3 base ingredients: Aloe, Myrrh, and Saffron. I blended them all up and filtered it into the healing elixir ready to consume. Quite a few years ago, a certain herbal elixir named Swedish Bitters was popularized by the Austrian herbalist Maria Treben. Touted as a multi-purpose panacea and home medicine chest, Swedish Bitters has become a hot item, and many different herbalists have come out with their own version of it. Maria Treben’s own particular formulation of Swedish Bitters was sold in the United States by the company Nature Works, but they have since altered Maria Treben’s original formula, to its detriment, I feel. According to Maria Treben, she got the formula from a Swedish doctor, a certain Dr. Samst, who lived to be a ripe old age, and he allegedly got the formula for the elixir from Paracelsus. 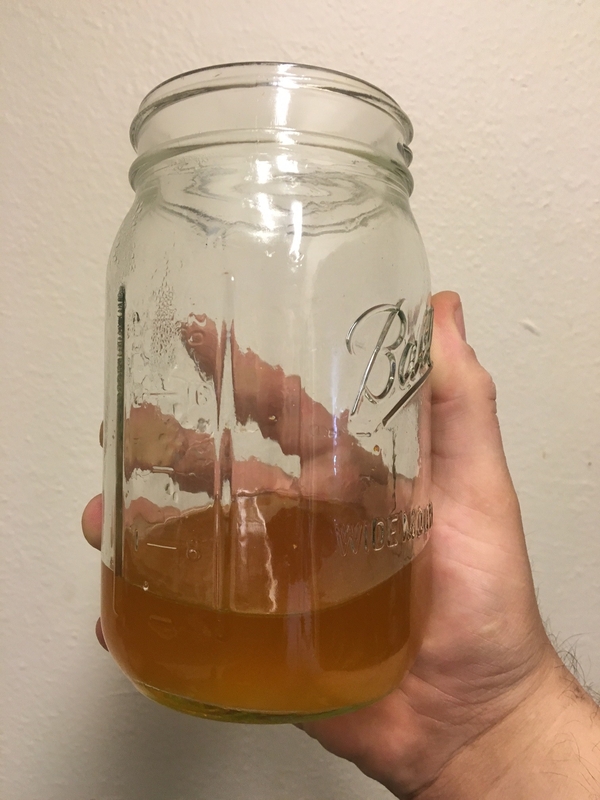 As an herbalist, I have also tinkered around with various versions of Swedish Bitters in my attempt to perfect the magical elixir. According to this Dr. Samst, Paracelsus’ original conception was to make an elixir based on three key ingredients: Aloe, Saffron and Myrrh. Besides being a potent bitter tonic, Aloe is known in Greek Medicine as being a fluidifier and attenuant for all of the Four Humors. Saffron is a potent blood thinner and purifier, and an excellent heart and circulatory tonic. And Myrrh is what is known as a vulnerary or cicatrizant, an herbal resin that promotes tissue regeneration and the healing of wounds, which it does very nicely, especially in combination with Aloe. Besides these first three ingredients, the Maria Treben version of Swedish Bitters also contains Angelica root, Camphor, Carline Thistle root, Manna, Rhubarb root, Senna, Theriac Venezian, and Zedoary root. The Paracelsian Swedish Bitters Elixir bears interesting resemblances to a number of other herbal formulas and preparations. For instance, in its vulnerary properties, and in many of its ingredients, Swedish Bitters closely resembles Dit Da liniments developed by Chinese martial arts masters to heal sparring injuries. 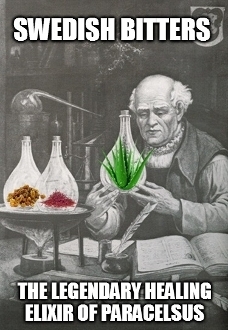 In Unani or Greco-Arabic medicine, Swedish Bitters resembles various Aloe-based formulas known generically as Ayarij, which utilize the attenuant and fluidifying properties of Aloe to great effect.